Christ Church has a lot of small groups going on. From youth, to men’s discussion groups, to youth groups, and the such. Then, there are the United Methodist Women circles. There are the congregational members who do not participate in anything except for Sunday morning. There are the ushers. Staff. And others. 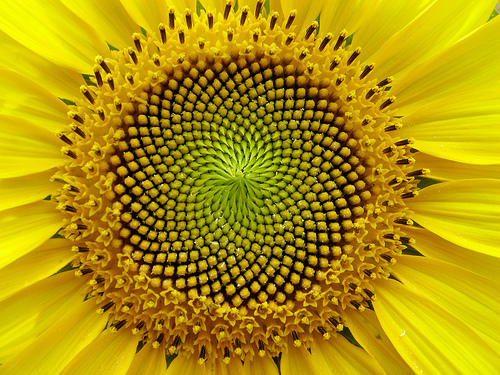 But, they are all interdependent and much like the sunflower pictured above, formed into interconnecting patterns. Sounds like a hippie commune. Ah, the water conservationists church.